Alameda Reads is a FREE service of the Alameda Free Library. The program has been helping adults improve their reading and writing skills for more than 30 years. Adult learners are at least 18 years old. They often come to the program because school was not the right place for them to learn. People succeed in our no-pressure, non-academic environment. They have busy lives and want to be able to use their skills right away as community members, parents, workers and lifelong learners. 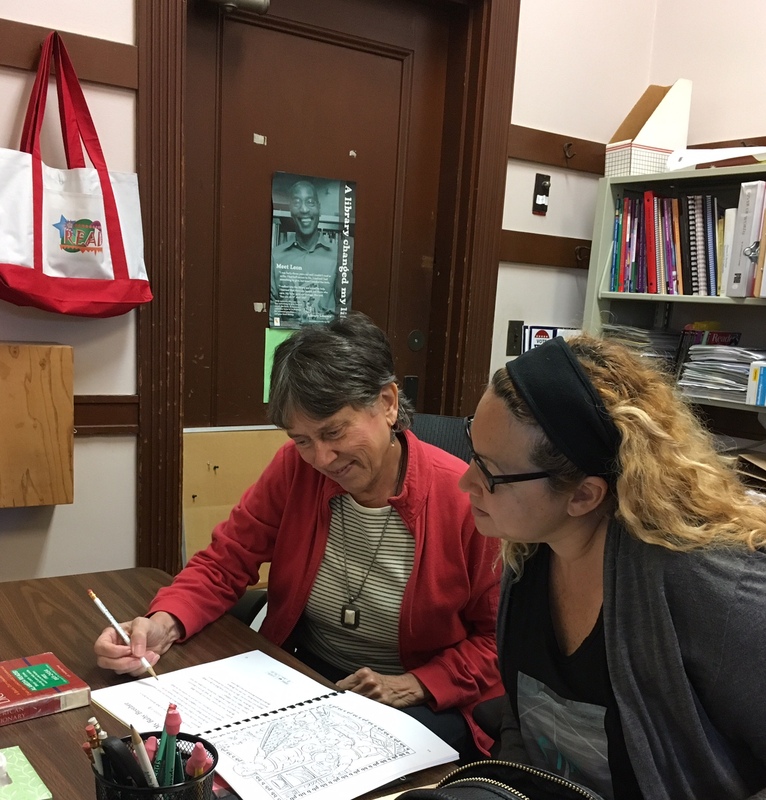 If you are an adult who wants to improve your basic reading and writing skills, the Alameda Reads program may be for you! The program is free and confidential. Call us at 510-865-2454 to find out more. Stay in the program at least 6 months, but you can stay in the program as long as you like! If you are a patient, flexible and reliable adult, and if you would like to meet new people and help them, you would be a great Alameda Reads volunteer. Commit to 6 months of service, although we hope you'll stay longer! To volunteer please fill out the application online. California Library Literacy Services (CLLS) A program of the California State Library, supports Californians by providing services to adults with low-literacy and their families through California public libraries. This website has many programmatic and tutoring resources. The Literacy Information and Communication System (LINCS) A national dissemination, resource gathering, and professional development system providing information on a wide variety of literacy relevant topics, issues, and resources. 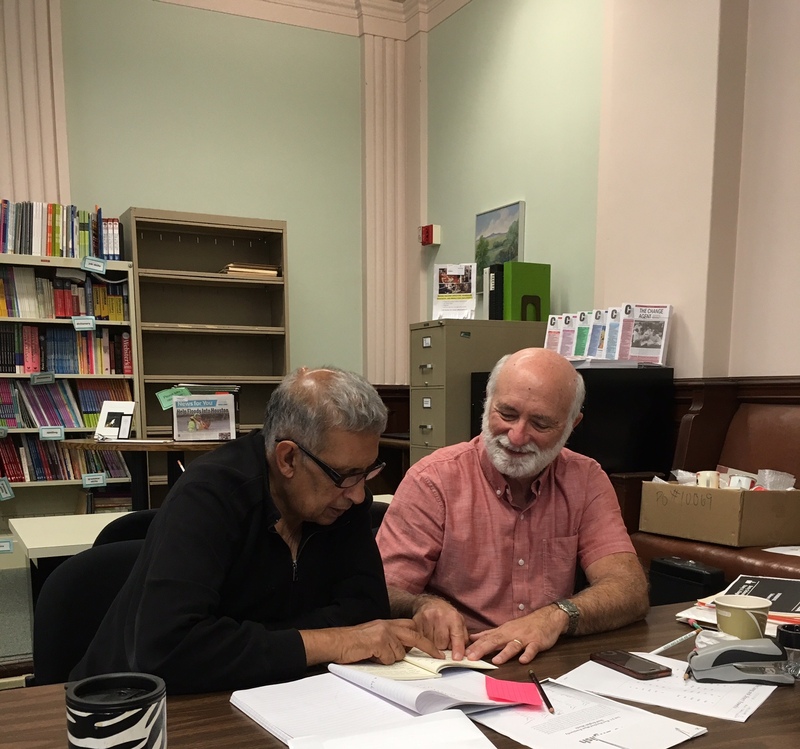 BALit (Bay Area Literacy) Serves adults in the Bay Area who choose to improve their reading and writing skills. BALit’s 25 member programs are located in libraries from Mendocino County to Santa Clara County. Access to Learning These videos feature tutor-learner pairs demonstrating evidence-based reading strategies. You can watch them to learn more about reading research and to see what tutoring pairs might do in a lesson. Learner Web This free, self-paced tutorial focuses on topics relevant to adult literacy tutoring. They provide answers to some common questions volunteer tutors ask about how best to help their learners improve their reading skills. You need to create an account to use this resource. Adult Numeracy Network (ANN) A community dedicated to quality mathematics instruction at the adult level. ANN supports adult educators, encourages collaboration and leadership, and influences policy and practice in adult math instruction. Discovery School's Puzzlemaker Create and print customized word search, crossword and math puzzles using your own word lists. Goodwill Community Foundation (GCF) Excellent online basic computer skills tutorials as well as math, reading and career development resources. Typing Club A web-based typing tutorial with hundreds of guided lessons. Good Typing A web-based typing tutorial with 27 guided lessons. Cal Learner Web The Learner Web offers self-paced programs to improve basic reading, writing and math skills, prepare for the GED, develop workplace skills and learn how to use the computer for everyday needs. You can create an account to track learning progress. California Distance Learning Project Articles and activities for adult learners. Site also has teacher resources. Practice tests for GED, TOEFL and others. You need to log-in to use this site, but the log-in is free. Print material may be purchased. Purdue Learning Lab Advanced grammar explanations with exercise and writing tips. Creative Writing Prompts Here you will find a list of 400 writing topic ideas. Scroll through to find questions that will appeal to your learner’s interests. USA Learns Online English lessons. Online US Citizenship course. You need to log-in to use this site, but the log-in is free. US Citizenship & Immigration Services Resources for learners and educators to apply for citizenship and to prepare for the test. Banking Basics Learn about how bank accounts, how to make a budget and how to build good credit.